Wellness Committee hosts National Walk at Lunch Day. 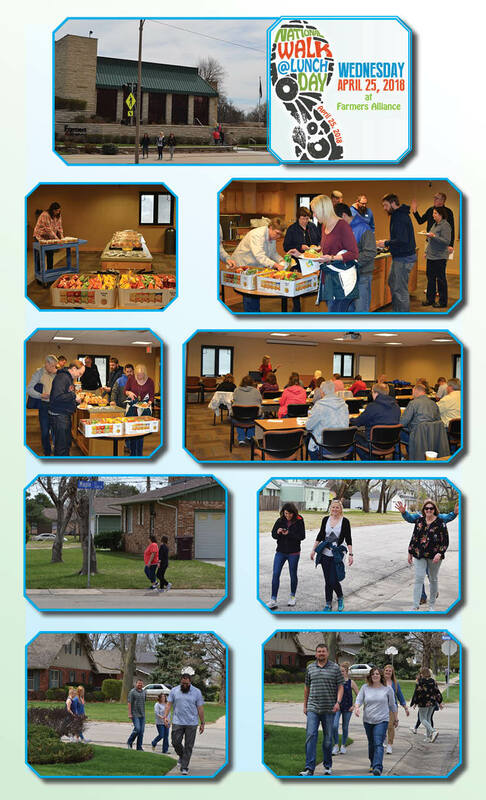 The Farmers Alliance Employee Wellness Committee hosted the National Walk at Lunch Day, with 57 employees signing up for the walk — including field staff from Iowa and Kansas City! Participants enjoyed a great lunch and fellowship, as well as a drawing for t-shirts.